Netflix has been turning to indie theaters chains because major ones expect a 90-day exclusivity window. The company won’t agree to this, but has compromised on a one to three-week theatrical exclusivity. Roma will instead play New York at Manhattan’s IFC Center and in other select theaters in cities across the U.S. Two other Netflix films will be available in theaters for just one week before they hit the streaming site, the Coen Brothers’ The Ballad of Buster Scruggs and Bird Box starring Sandra Bullock. Netflix wants to put these films in theaters to give them a shot at awards recognition and garner the attention of more Hollywood royalty to collaborate with. Following the streaming service’s massive success with original television series such as Orange is the New Black, The Crown and Black Mirror, Netflix has started to venture into making more of its own exclusive films for subscribers. Release such as Like Father, To All the Boys I’ve Loved Before and Set It Up fall under impressive made-for-TV content. But enlisting an Oscar-winning director such as Alfonso Cuarón with an artistic vision to create something truly unconventional and touching shows a shift in ambition for Netflix. Netflix will soon find some competition with Disney’s upcoming streaming service Disney+ in 2019. This will have all of the company’s attractive titles from the studio, such as Black Panther and Thor: Ragnarok, disappearing from Netflix. Amazon Studios is also constantly adding more original content to Amazon Prime, recently producing some Oscar nominees including The Big Sick and Manchester by the Sea. Hulu is also rising through the ranks with a show like Handmaid’s Tale receiving acclaim, it’s only a matter of time before it creates original films of its own. Netflix has always been an innovator in streaming, so its attempted dealings with theaters will likely continue until the company finds a way to make high-profile filmmakers, theaters and itself collaborate successfully. 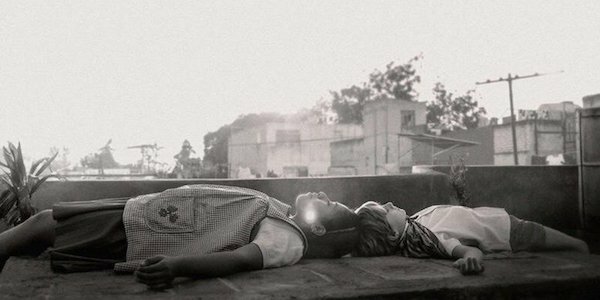 Roma will be in select theaters on November 21 before finding its way on Netflix on December 14.